Properties in Onetangi average 4.5 out of 5 stars. 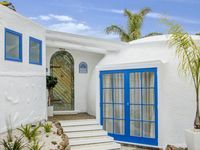 Perfect for your holiday getaway with a amazing picturesque beachfront spot. Property 9: Perfect for your holiday getaway with a amazing picturesque beachfront spot. The ultimate glamping experience for grown ups! Property 36: The ultimate glamping experience for grown ups! THE VIEW, Onetangi is a charming and relaxed beach escape. 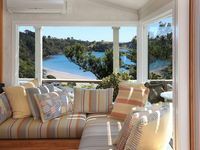 Property 46: THE VIEW, Onetangi is a charming and relaxed beach escape. Situated across from Onetangi Beach. Short walk to the cafes up the road. Perfect apartment for a weekend away or an extended holiday. Thanks very much we had a lovely time.